If you are experiencing the itchy irritating infestation of bedbugs in your residence; you may want to try eradicating them yourself. There are DIY preparations on the market, but apart from pesticides, you will also need the expertise required to locate their hiding places and use proven remedies. We strongly advise that you seek and engage the help of a specialised and qualified pest control experts, who possesses a tested record in treating such problems; Pest control London is such a company who can utilise their bed bugs control London experience. For whatever the reason that bedbugs have invaded your space, they are an alarming and continuing pest and a dilemma for anyone that has them in their home. Their effect on people is considerable and devastating. 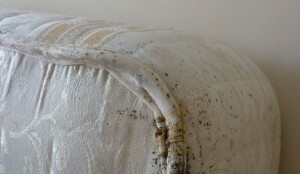 Bedbugs bite their victim normally about the waistline when in bed at night time. 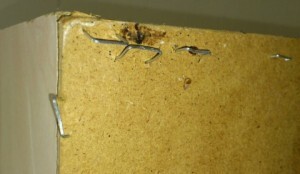 Nevertheless, bites can take place on different regions of unprotected skin such as arms and legs. Their bites may be singular or in a group, this is caused probably by their victim changing positions while asleep, making the bed bug to find other areas of the body. We have yet to find a conclusive method in stopping them invading our homes, but until then, we do have bed bug control London. When it comes to hotels, guesthouses and especially hostels; it should be the responsibility of each establishment’s manager or owner, to ensure that their guests do not come in contact with this pest and be vigilant in monitoring the bedrooms, before they have a complaint from a guest. After all it is so easy to acquire a bad reputation; but much more difficult to regain the trust and confidence of potential guests. 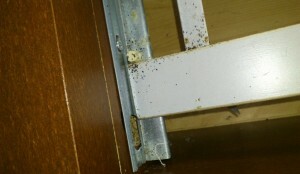 It is a good idea that in these very vulnerable facilities that a reputable bed bug control London Company is contracted to make periodical checks on your establishment, thereby guaranteeing that the sleeping areas of their clients and tenants are cleansed and completely free of bedbugs. 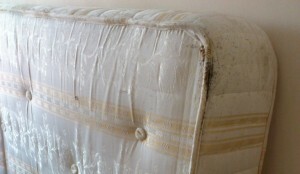 Bedbugs are minute parasitic insects which as their name indicates, they are normally found in mattresses bed linen and in the bedroom generally. Although the do not have wings, they are able to travel up to 30 meters in one night from their hiding places to have their ‘blood feast’. They are found in the lining of clothes, on fabric luggage and many numerous locations. They are exceptionally difficult to locate and are very good at concealing themselves in bed frames, furniture, behind skirting boards and various crevices in the bedroom. 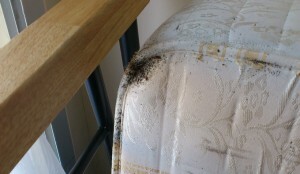 Bed bugs feast on you during the night while you sleep, their bites can lead to irritation and itchiness can be sensed. Majority of their victims are not conscious that they’re being fed upon until they wake in the morning; as bedbugs inject a mild anaesthetic prior to actually feeding. Some of their victims have described being wakened during the night time itching in several places. Bed bugs that have recently hatched are extremely small, approx 1mm, once they have reached adulthood they can be 5mm in length and 4mm in width with a flat appearance prior to feeding. 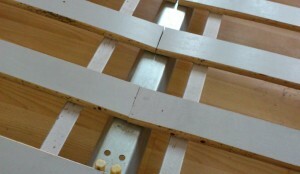 They are flat and only 1mm high and have an oval shape viewed from above. They differ in colour from almost white when they shed their skins to dark brown their colour depends whether they have just fed, as the blood they have ingested colours their bodies.